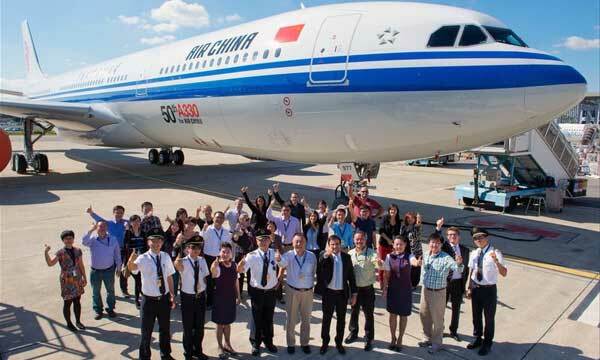 Air China held a special ceremony today in Beijing to celebrate the delivery of its first GEnx-2B-powered Boeing 747-8 Intercontinental aircraft, which is also the first such aircraft delivered to an Asian airline. 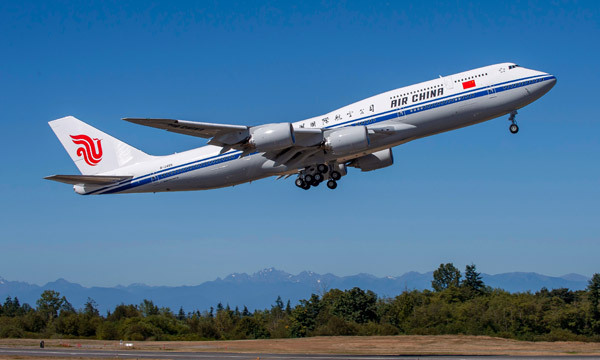 Air China has ordered seven B747-8I aircraft with the rest scheduled for delivery by the end of 2015. 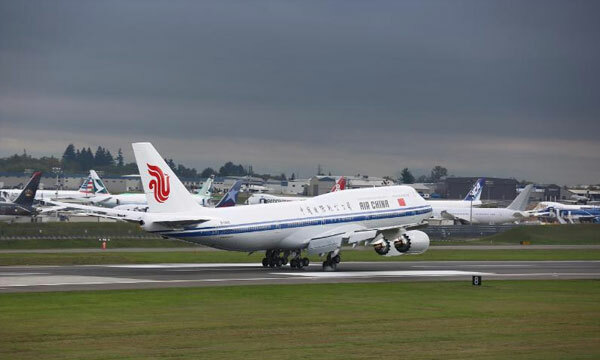 As of June 2014, Air China (including its holding companies) owns 512 aircraft, featuring Boeing and Airbus, with an average age of six years. It operates 298 passenger routes, including 71 international routes, 15 regional routes and 212 domestic routes, covering 31 countries and regions, and 154 cities (47 international cities, 3 regions, and 104 domestic cities). In cooperation with Star Alliance member airlines, its service network is further extended to 1,328 destinations in 195 countries. The GEnx engine family is the fastest-selling engine in GE Aviation history with more than 1,600 engines on order. 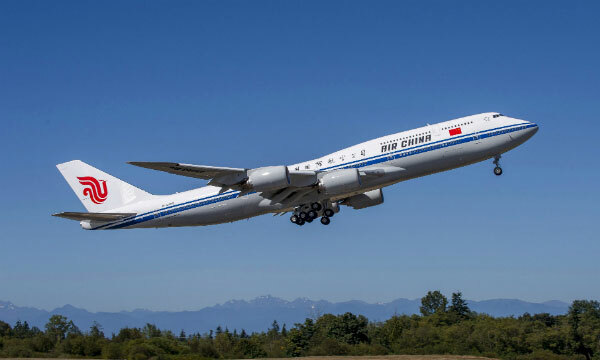 More than 300 GEnx-2B engines are in service, and the fleet has accumulated 1.7 million flight hours and 300 thousand cycles with outstanding performance. Compared to GE’s CF6 engine, the GEnx engine offers up to 15 percent better fuel consumption, which translates to 15 percent less CO2. The GEnx’s innovative twin-annular pre-swirl (TAPS) combustor dramatically reduces NOx gases as much as 55 percent below today’s regulatory limits and other regulated gases as much as 90 percent. Based on the ratio of decibels to pounds of thrust, the GEnx is the quietest engine GE produces due to the large, more efficient fan blades that operate at a slower tip speed, resulting in about 40 percent lower noise levels. Revenue-sharing participants on the GEnx are IHI Corporation of Japan, GKN Aerospace Engine Systems of Sweden, MTU of Germany, TechSpace Aero of Belgium, Snecma (SAFRAN Group) of France and Samsung Techwin of Korea. The GEnx engine is part of GE’s “ecomagination” product portfolio—GE’s commitment to implementing innovative, cost-effective technologies that enhance the customers’ environmental and operating performance.